Jessie and Kyle’s wedding day could not have been a more picturesque winter wedding! Jessie envisioned a Nordic styled wedding to reflect her families Serbian heritage and this day delivered exactly that! Pratt Place was the perfect venue choice, as it has all of the character a bride and groom could imagine for their big day. We went with a mix of cool and dark floral tones and warm lighting inside the barn. Enjoy these amazing photos captured by Laura Lee Powers Photography! Jagan and Clay are a laid back couple that wanted to make sure their guests came to have a good time! The setting at Mountain Creek Meadows is such a beautiful one, we wanted to really work with the fall colors and the natural setting. The ceremony overlooked the water with the reception held outdoors and under tents provided by the White Tent Company. Enjoy these beautiful photos by Drew Lacy Photography! We worked with Nancy and Jorge from start to finish on designing the perfect day for them and their families. They were such a pleasure to work with the entire process, trusting our design choices completely. Adelaide hall is a venue with a lot of history and character, so we really wanted to make sure it was perfect! Between the chandeliers, the patterned walls, and the gold chiavari chairs…we feel were successful! 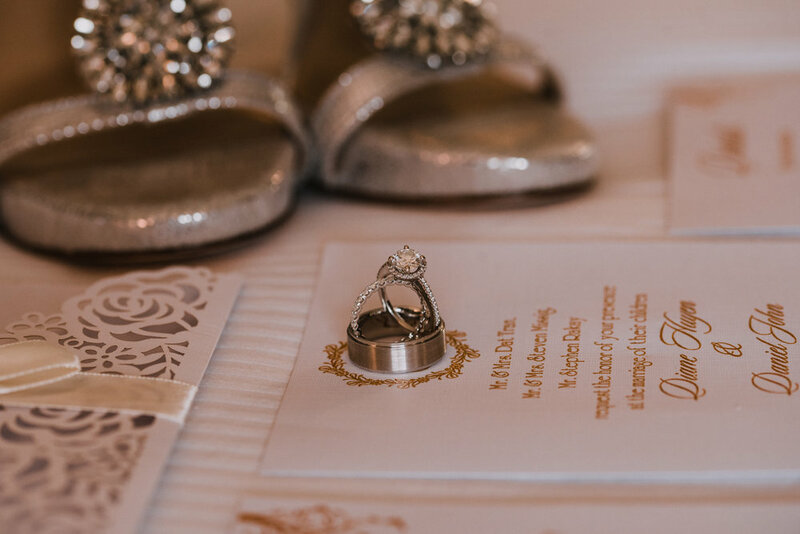 Enjoy these photos by Simply Sykes Photography, and Crystal Gean Photography! Joe and Kathleen knew they would be having a big wedding day, because they both have large families on both sides. They wanted something timeless that ensured everyone had a great time! Joe owns the fantastic Taliano’s Restaurant in Fort Smith, so we knew the food options were going to be top notch! We went with antipasta treys on each guest table, classic floral choices, and chandeliers over the dance floor that were jaw dropping. We finished with a high resolution rose pattern as a focal wall behind the wedding party. Enjoy these photos by Yellow Roads Photography as much as we enjoyed this event!! We are so excited to share these photos with you from such an amazing wedding day! Savannah came to us with a vision of a “Best Day Ever” themed wedding day with a very beauty and the beast style and atmosphere. Getting the opportunity to be creative and come up with new concepts is always exciting! These two were so great to work with throughout the entire process. Enjoy these amazing photos captured by Tiffany Cox Photography! We got the chance to work with Shared Services Center again this year on their end of year party. They came to us with an idea for a masquerade themed event and asked us to come up with a complete design and concept. This is how the Masquerade Mansion was born! We decided what better way to give the already great venue at the Doubletree a makeover, than to have guests feel like they were walking in to a victorian style mansion?! We worked with creative lighting textures and designs to give the feel of corridors in a large manor, victorian furniture sets paired with a mantles to create cozy fireplace style seating, our large 21 light antique chandelier, crystal chandeliers, and unique floral arrangements that really completed the design! This was one of our favorite event designs so far! Enjoy! We had the opportunity to work with an amazing couple, Rachel and Matt, to create the perfect setting for their fall wedding. 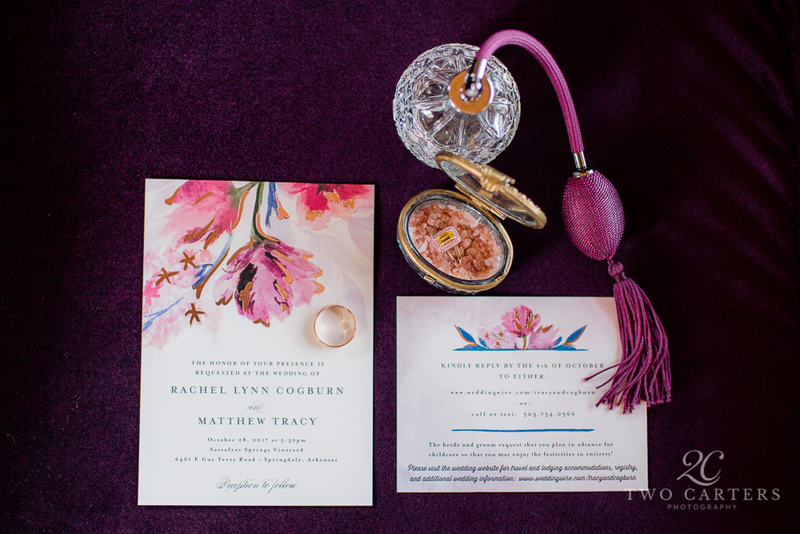 Rachel came to us with a beautiful vision for her wedding ceremony and reception, and we were able to work with unique design elements and fantastic vendors to bring those ideas to life. Sassafras springs is one of the most picturesque settings you can imagine, and it is conveniently located near the heart of Fayetteville, AR. We worked with a fall color palette, crystal chandeliers, and warm lighting to bring together the perfect atmosphere. Special thank you to Two Carters Photography for capturing these timeless images and being so great to work with! 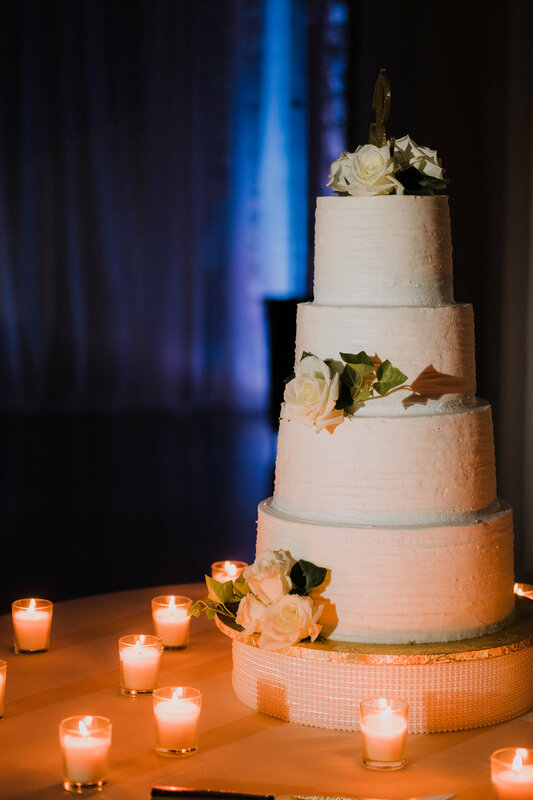 Wedding cake and crystal chandeliers are a wedding day must! We are super excited to share these amazing photos of Diane and Dan's July Wedding! We worked to really soften up the atmosphere for this event to create an intimate feel, while still entertaining a larger guest list. From the wall textures to the lounge area, everything came together perfectly for a beautiful occasion. The reception was held at the Fort Smith Convention Center, following a ceremony at Immaculate Conception in Fort Smith. Diane and Dan were both great to work with and we are so thankful to have been a part of their special day. Enjoy these amazing photos captured by the Miles Witt Boyer team! Hey everyone! We had the opportunity to work with this awesome couple on this beautiful wedding reception in June! The natural lighting in Adelaide Hall in Fort Smith, Arkansas created an elegant and clean palette of white linens, chandeliers, and white florals. They wanted a classic design with hints of modern styling, so we chose white linens, geometric glassware, and clean lines to bring the room together. For floral design choices we went with tall hydrangea centerpieces, mixed with submerged calla lilies, small rose vases, and a eucalyptus runner for the head table and cake table. Bridal bridal bouquets were a mixture of white hydrangea and white calla lilies for a classic summer look. Everything came together perfectly! Enjoy! This has to be one of our favorite ballroom wedding designs to date! From start to finish Shauntae and Charles were an awesome couple to work with. They had a vision for the style ceremony and reception they wanted, so we worked together to design the perfect atmosphere for a beautiful ballroom wedding that fit that vision. We incorporated a saturated plum and purple color palette, as well as warm lighting from our crystal chandeliers and added custom dance floor textures to really bring everything together. Enjoy! 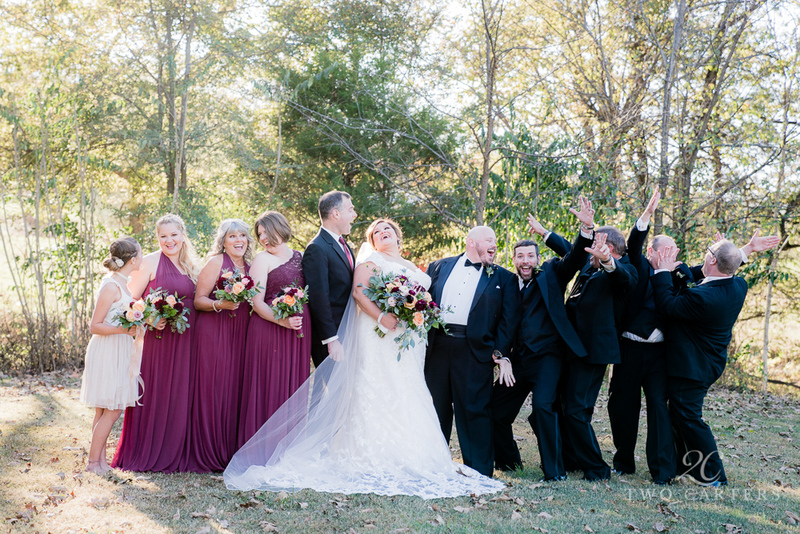 We are excited to share some photos with you from the Francis/Goodrich wedding that we designed at the Donald W. Reynolds center in Poteau, OK. This was such a fun group to work with from start to finish! We were able to transform the event space into an elegant, spring inspired reception atmosphere. Enjoy! Working with Amanda and Matt to create the perfect vintage styled wedding was so much fun! They had a beautiful ceremony overlooking the Arkansas River in Fort Smith, that offered an amazing view as the backdrop, then on to the Fort Smith Museum of History for the perfect reception setting. 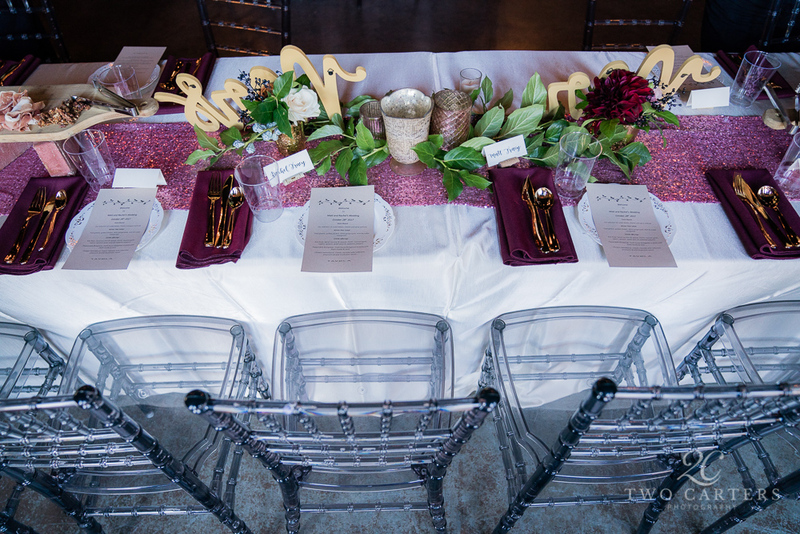 We worked to bring together a classic, vintage feel to the reception that turned out so well. We couldn't be happier with the outcome! Enjoy! Dress by Morilee by Madeline Gardner, Bouquet by L Designs, Hairstyle by Shelby Barham. 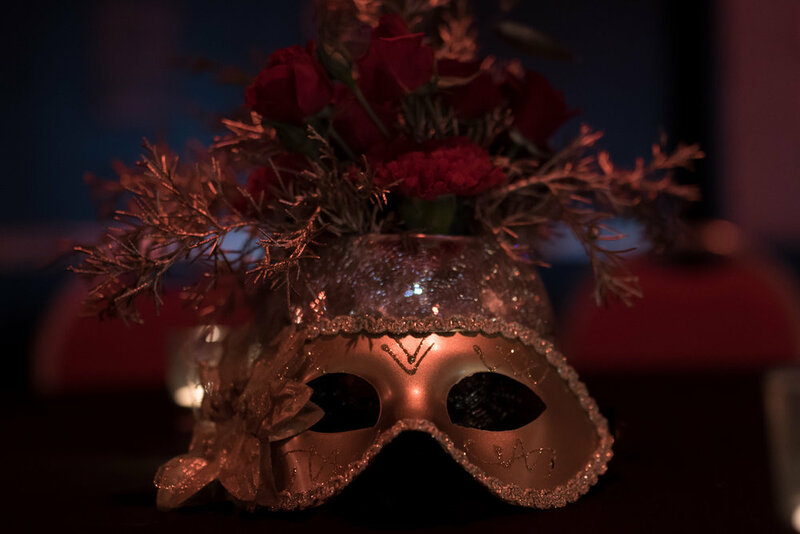 We had the privilege of working with the Donald W. Reynolds Cancer Support House again this year on their annual black tie event, Wine and Roses. We work diligently to design our events to transition perfectly from day to night by providing professional lighting design, so nightfall is your friend not your enemy. After the wine auction was concluded, we were able to bring the lighting down for the perfect evening setting. Custom textures brought the patio to life. This was a very special wedding to plan and design, because it was our own! We have been creating weddings for many years and finally had the chance to design one for ourselves! We wanted an intimate wedding ceremony and reception, so we set out to choose the perfect venue. My (now) wife, loves vintage styling and old buildings with brick and wood design architecture. Fort Smith Museum of History was the perfect choice. It is a bit of a hidden gem really, as many are not aware that this unique venue with such a history is available right in the middle of downtown. It has a versatile layout that will comfortably accommodate around 125-150 guests. We wanted to keep the process of planning and organizing simple, so we decided on no bridal party and a ceremony with reception style seating. This was a perfect fit for us, because it minimized the different facets of the event we would have to coordinate, and allowed us to enjoy the day :) . We created a canopy area with our sheer drapery, crystal chandeliers, and our antique victorian sofa that would serve us a beautiful backdrop for our ceremony, and then becoming the perfect sweetheart table for the reception. It allowed us to save space, and not have the added time and energy of a venue flip after the ceremony. 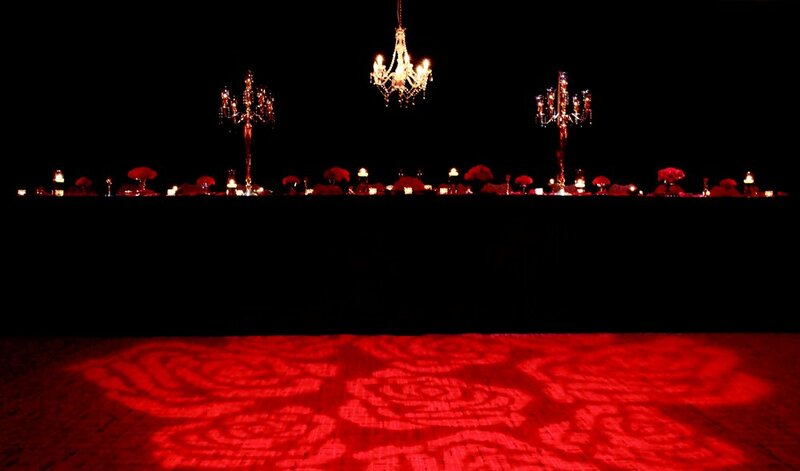 We used a textured pattern to create splashes of light along the floor and brighten up the space. We worked with Lisa at L Designs for the floral arrangements, and she did an amazing job bringing the brides vision to life! We wanted a mixture of jewel tones, whites, and greens in a more free form arrangement to suit our antique centerpieces. We went with crinkle champagne tablecloths, gold chargers, and gold rimmed dinnerware to compliment the mixed assortment of antique candelabras, candlesticks, and silver/gold centerpiece treys. Our pinspot lighting really showcased these beautiful centerpieces by L designs! White sheer drapery with a warm lighting from the crystal chandeliers. We chose Special Moments Photography to capture our day, and we couldn't be happier with the outcome! They did a great job capturing the feel and mood of the evening perfectly. Definitely check them out if you are in search of a great wedding photography team! Overall we couldn't have been happier with the way everything turned out, and we were able to enjoy the night as bride and groom, not wedding designers :) . We teamed up with Shared Services Center to bring their end of year party celebration ideas to life! They came to us with the fire and ice concept, and wanted to give their employees an over the top party with a great atmosphere, striking lighting desgin, performers, casino games and more. We created a classic entryway with our luxury sheer drapery, combined with a pair of crystal chandeliers on our custom chandelier arches to dress up the foyer into the ballroom. As guests entered the ballroom they were greeted by our photo booth photographer, to snap photos on the red carpet in front of our custom created step and repeat backdrop. We utilized textured lighting to create fire and ice images on each side of the ballroom, laid over a saturated uplighting and wash lighting. We also added six of our crystal chandeliers in the corners over the bars, as well as over the roulette tables, to add a touch of vintage feel to balance out the heavy colorized lighting throughout the room. We provided pinspot lighting for the centerpieces, which made them really shine in the dim setting we created. White sheer drapery was utilized throughout the room to soften up the corners and section out different areas of the event. The event was packaged full of entertainment. We had a DJ spinning tracks all night, behind our LED pillar stage setup, jugglers, acrobatics, stilt walkers, hoopers, and casino games lining the outside walls! We also created a customized logo for the event to project onto the dance floor, for added personalization. Checkout these amazing ice sculptures that were a main attraction at the food tables. We used LED wash lighting and pinspot lighting to really make them standout. From start to finish this event was a blast to work on. We can't wait to see what is on the agenda for next year's party! The Black Crown Weddings and Events team had the opportunity to work with a great couple this past weekend at a beautiful wedding in Springdale, AR. The wedding venue was a larger venue so we worked to create a customized space that would accommodate their guests, as well as soften up the area. We created a customized entrance into the reception that was an amazing focal point of the event. We utilized a white sheer drape and crystal chandeliers for a classic and lavish look. We then layered in uplighting, textured lighting for the floor, and a customized monogram in lights to add an event more personalized touch to the event. If you are planning a wedding, contact us today to create the perfect space for you! Wedding reception entrance design in Northwest Arkansas. We are excited to share some photos of an amazing wedding we had the opportunity to help design at the Pines at Moser Farms. This is a beautiful newly constructed barn style venue, with a great layout for creating the perfect setting for any style wedding. This was our first experience working at this venue and we must say it was not only a lot of fun, but the layout of the venue offered so many options for lighting and drapery design, which made it creative and exciting. This particular wedding venue has a large number of windows that allow for a lot of natural lighting. We wanted to work to create elements that would seamlessly transition from the natural lighting from the daylight, to an elegant and unique setting once the sun went down. The sheer pipe and drape combined with the crystal chandeliers, gave the space a classic and luxurious appearance during the daylight, and slowly transitioned to showcase some of the lighting elements. Elegant entrance created with sheer draping, crystal chandeliers, and uplighting. The floral centerpieces were beautiful and elaborate, so we wanted to make sure and really make those stand out by lighting them with our centerpiece lighting. We then wanted to create a mixture of lavenders and ambers to blend with the venue, but also bring to life the wedding color palette. On the large focal wall we added a custom monogram, as well as textured lighting to really make the wall standout. Our team also provided a professional Wedding DJ and Host for the entertainment, as well as a red carpet photo booth to not only add entertainment for the guests attending the wedding, but also for an additional touch of luxury. We had a great time creating this beautiful summer Oklahoma wedding! Congratulations Kelsey and Edward! It has been a bit since we have written a blog post, so we figured it was about time to catch you up! We have had a busy summer at Black Crown Events. We have worked with some amazing brides and grooms and had the opportunity to create several beautiful settings for weddings in the Fort Smith and Northwest Arkansas Areas. Summer weddings have there elegant appeal and charm, especially here in the south. As long as you prepare for the little work arounds like rain, bugs, and backup plans, you can really create magic. 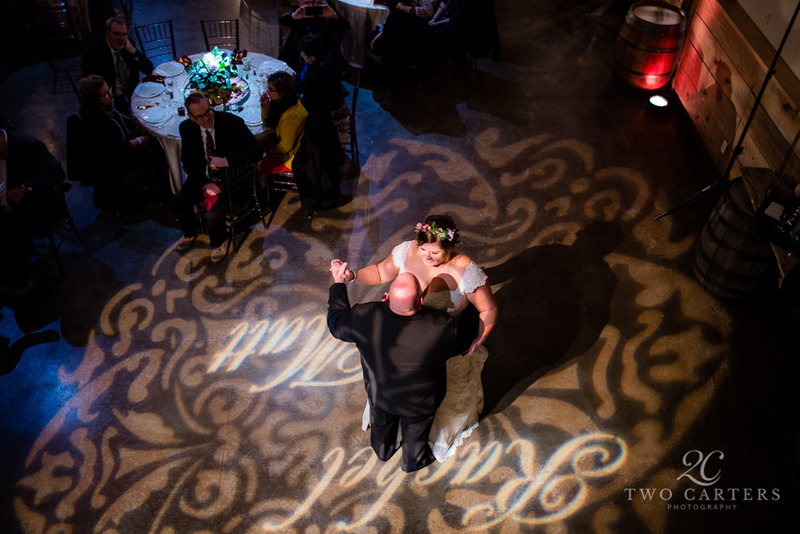 A great example of this was a recent wedding at The Barn by Two Brothers located in Fort Smith, in which we provided several services for, including DJ and Lighting Design. This was a beautiful tent wedding in the evening, with drapes, lighitng, monograms and more. The entire venue looked amazing in the evening light. Black Crown Events wedding at The Barn by Two Brothers in Fort Smith, AR. Our team also had the chance to work at other great venues like the EpiCenter by Movie Lounge. This venue is a fantastic venue for weddings, especially for those that like a more modern style venue. We created a stunning focal wall for the bridal table by mixing uplighting and a custom monogram in lights. These lighting elements are not only a way to enhance the appearance of your venue, but also create a custom look and feel specifically for each bride and groom. Our team can provide clients with a simple and stress free process of not only planning the decor and visual aspects of your wedding, including lighting, drapes, ceremony/cake canopies, chandeliers and more, but also providing an experienced wedding DJ to host your event from start to finish, handle the flow of events, as well as keep your guests entertained! We can work with any number of wedding professionals, from wedding planners to photographers, to make your event seamless and perfect. 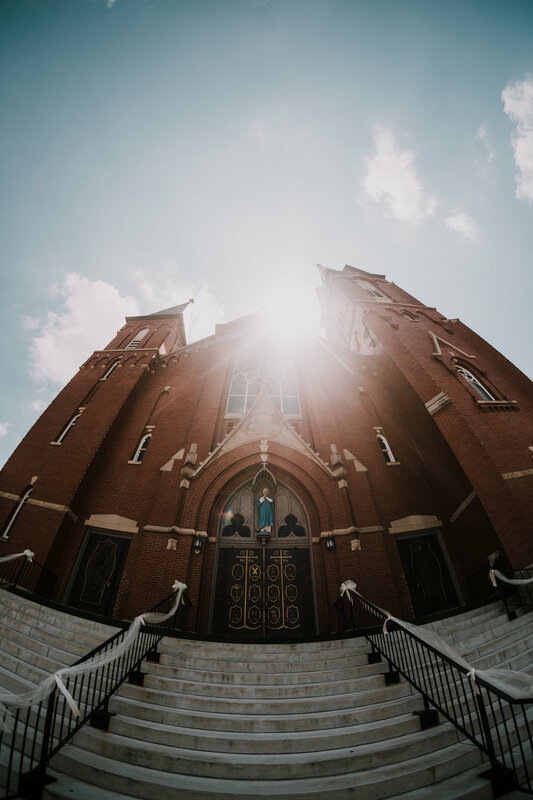 Our team of skilled event professionals provide an unmatched level of wedding services in the Fort Smith and Arkansas region. We spend countless hours of training and preparation for your event, to make sure it is nothing less than perfect. Call today for your FREE consultation. We had a long busy weekend at Wine and Roses to benefit the Donald W. Reynolds Cancer Support house in Fort Smith, AR. We provided wash lighting and beautiful crystal chandeliers for their tent, and wireless uplighting for their patio area. The event featured a wine auction and live music, as well as art from many local artists in the Fort Smith area. Black Crown Events also provided an amazing canopy entry way with a crystal chandelier, to greet guests as they arrived. We also provided a red carpet photo booth for guests to have their picture snapped as they entered the event. Our team had a wonderful time and we look forward to some great ideas for next years event! Don't Let Wedding Planning Scare You...Let Us Help! As many of you probably know by now, planning a wedding is full of choices, choices, and more choices! Your ceremony venue, your reception venue, your colors, dress, cake, photographers, and most importantly, "How do I make it BEAUTIFUL?!" The great part about this question is, we have the answer! 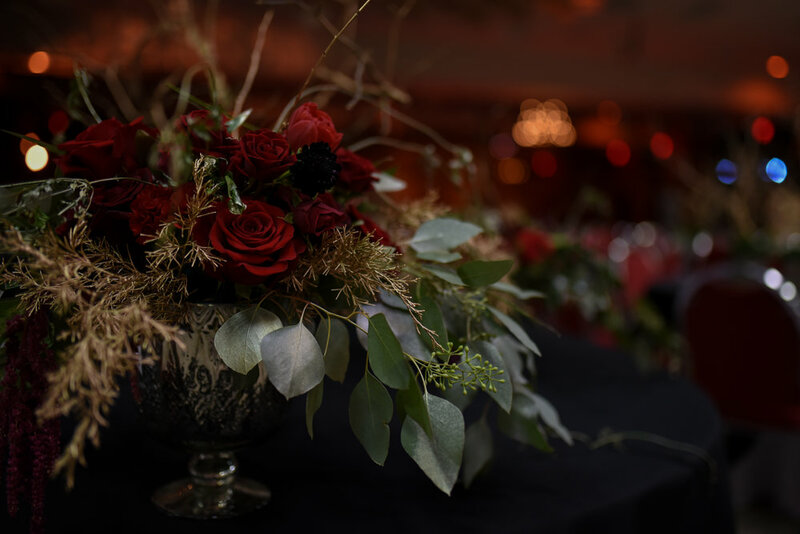 Black Crown Events has a team of some of the best wedding professionals in the business. When it's time to design your dream wedding, we will sit down with you for a FREE consultation to discuss your ideas and vision for bringing your ideas to life. We offer a number of services and wedding decoration elements that can transform your event from boring to beautiful! We will work with you to create the perfect layout and itinerary for your event, or if you have hired a wedding planner, we will coordinate all of those details with them, to take the stress off your plate! Let us work with you to design the perfect space for your wedding ceremony and receptionWith elements like custom Lighting Design, Uplighting, Computer Controlled Centerpiece Lighting, Monograms, Textured Lighting, Sheer Wedding Canopies, Crystal Chandeliers, and Pipe and Drape we can transform any wedding venue into a personalized dream wedding, that matches your style and personality. We will set the perfect atmosphere, for the perfect wedding day! Whether you prefer country or contemporary, we've got you covered! 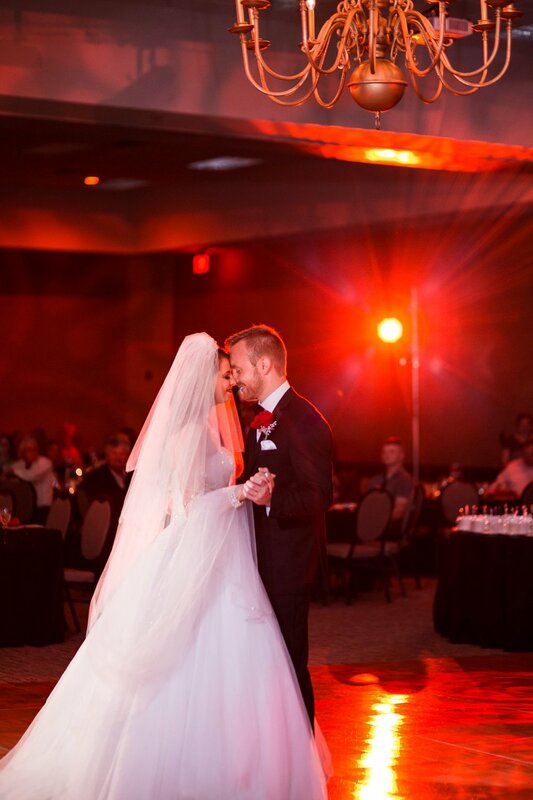 We also have a team of some of the most talented Wedding DJs in the Arkansas and Oklahoma areas, who have had years of experience with events in Fort Smith, Fayetteville, Northwest Arkansas, Tulsa, and Eastern Oklahoma to name a few. They will work with you to create the perfect playlist and soundtrack for your event, including background music, dinner music, ceremony music, dance music and more! Your DJ is experienced in working with every category of wedding vendor, and will work hand in hand with all of your vendors including your venue, wedding planner, wedding photographers, caterers and more, to make sure that your event is seamless and perfect!